Below you fill find all funeral homes and cemeteries in or near Nortonville. Nortonville is also known as: Jefferson County / Nortonville city. Zip codes in the city: 66060. Nortonville has been featured in films like: Bunker Hill (2008). Nortonville is a city in Jefferson County, Kansas, United States. As of the 2010 census, the city population was 637. It is part of the Topeka, Kansas Metropolitan Statistical Area. It was disclosed by Topeka Capital-Journal on January 9th, 2019 that Claire Irene "Clairene" Falk (Noll) passed away in Nortonville, Kansas. Ms. Falk was 75 years old. Send flowers to share your condolences and honor Claire Irene "Clairene"'s life. It was written by Topeka Capital-Journal on September 5th, 2018 that Amy Jean Smith (Montgomery) passed on in Nortonville, Kansas. Ms. Smith was 95 years old. Send flowers to share your condolences and honor Amy Jean's life. It was written by Topeka Capital-Journal on August 7th, 2018 that Helen Lucille Brooks died in Nortonville, Kansas. Brooks was 93 years old. Send flowers to express your sympathy and honor Helen Lucille's life. It was disclosed by Des Moines Register on May 27th, 2018 that Rosmary Cummings (Hoffman) passed away in Iowa. Ms. Cummings was 85 years old and was born in Nortonville, KS. Send flowers to express your sorrow and honor Rosmary's life. It was reported by Topeka Capital-Journal on November 1st, 2017 that George Beumer died in Nortonville, Kansas. Beumer was 81 years old and was born in St Charles, MO. Send flowers to express your sorrow and honor George's life. It was written on September 23rd, 2017 that Paul Langworthy perished in Washington. Langworthy was 94 years old and was born in Nortonville, KS. Send flowers to express your sorrow and honor Paul's life. It was reported by Topeka Capital-Journal on June 21st, 2017 that Marjorie E Belveal passed away in Nortonville, Kansas. Belveal was 84 years old. Send flowers to express your sympathy and honor Marjorie E's life. It was written by Topeka Capital-Journal on January 27th, 2017 that Norman W "Norm" Belveal perished in Nortonville, Kansas. Belveal was 86 years old. Send flowers to share your condolences and honor Norman W "Norm"'s life. It was revealed by Topeka Capital-Journal on July 17th, 2016 that Patricia Ann miss Casey passed on in Nortonville, Kansas. Casey was 65 years old and was born in Travis AFB Fairfield, CA. Send flowers to express your sorrow and honor Patricia Ann miss's life. It was noted by Topeka Capital-Journal on July 10th, 2016 that Virginia F Page perished in Nortonville, Kansas. Page was 97 years old. Send flowers to share your condolences and honor Virginia F's life. 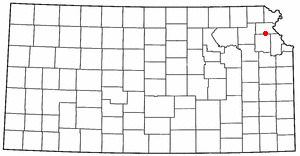 It is part of the Topeka, Kansas Topeka metropolitan area Statistical Area. Nortonville is a city in Jefferson County, Kansas County, Kansas, United States. The population was 620 at the 2000 United States Census census. . . The official website for the city of Nortonville is http://www.nortonvilleks.com/. Listing all funeral homes in Nortonville, Kansas so you can easily send flowers to any location (same day delivery) or find any funeral service. Nortonville Funeral planning made easy! Learn how to pre-plan your funeral in Nortonville, Kansas, including step-by-step directions. Find a Funeral Home inNortonville, Kansas KS to provide the caring burial and ceremonial services your family deserves. We work with local florists and flower shops to offer same day delivery. You will find budget sympathy flowers in Nortonville here. Our funeral flowers are cheap in price but not in value.